British and American amplifiers are discussed to death in guitar forums. Although the details of their components and circuitry can be interesting, we understand that most players are keen to just learn about their differences from a sonic perspective. However, it's quite hard to describe the tonal differences between British and American amps without generalising too much. That's why in this article, we're going to highlight a number of well-known amp brands from each side of the pond; comparing the sound qualities and features of their most famous models. When it comes to the way that your guitar rig sounds, the most important ingredient is your amplifier. Although guitars and pedals can affect the way that your amp behaves, ultimately, it still remains the fundamental part of your setup. That’s because it’s the only element that can actually project sound! If you’re fastidious about your guitar tone, it’s therefore very important to find the right amplifier. That’s easier said than done, though. With so many guitar amp brands out there, it can be tricky to distinguish the characteristics of one company’s amps against another. To simplify this, many guitarists tend to group valve amplifiers into two categories; those that sound “British” or “American”. Although this obviously refers to where certain amps are made, you’ll discover that many British-made amplifiers actually share some similar sonic and physical traits. The same goes for American amps. This divide also has a lot to do with the association that certain amp brands/models have had with particular artists. But we’ll get to that later! To kick things off, let’s take a look at some of the UK’s leading amp companies. Which Amp Brands are British? The United Kingdom is tiny compared to the United States of America. Despite that, some of the world’s most well-known amp companies hearken from our tiny island. Among them is Marshall; arguably one of the most recognisable brands in the guitar industry. 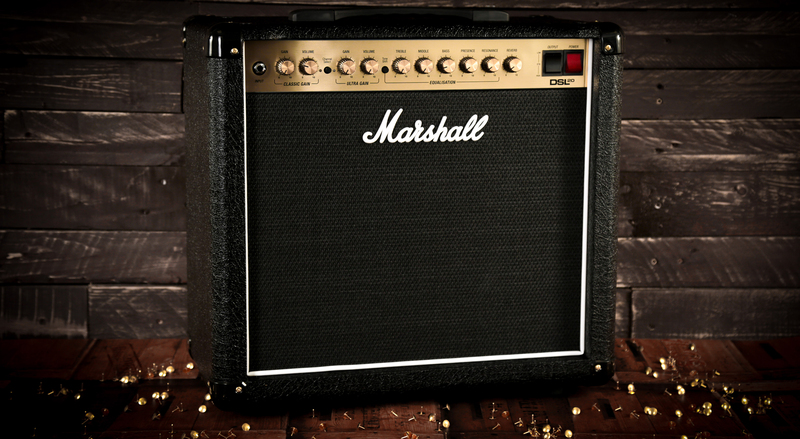 Responsible for powering many legendary acts, including The Who and Led Zeppelin, Marshall amps have remained a favoured choice for many since the ’60s. Other old-school brands include the likes of Vox, Orange and Laney. Vox are more synonymous with classic acts like the The Beatles, but have a close association with the broader rock genre too. Orange amps, on the hand, are particularly popular with modern metal players. With Brent Hinds (Mastodon) and Jim Root (Slipknot) on the company’s signature artist roster, its clear that Orange amps are highly-regarded among more contemporary guitarists. There are, of course, some newer kids on the block. Blackstar quickly established itself as a major player when they entered the market over a decade ago. Known for boasting a diverse amp range, Blackstar amps appeal to guitarists of most styles. Victory is also similar in age and style; becoming one of the bestselling brands at Andertons Music Co.
What do British Amps sound like? Most British-designed amps will typically feature EL34 or EL84 power valves. The type of valves installed in traditional tube amps can have a big influence on their overall sound and feel. EL34s, for example, are known to break up more softly when pushed at high volumes. This introduces more distortion and results in less headroom, for a tighter and more compressed sound. But like we alluded to at the start, it is perhaps easier to break down the tonal characteristics of one brand’s amplifiers rather than describe them all in a general sense. Having said that, we’ll sum up the similarities that they share at the end of the article. Starting with Marshall; their amps are known for offering gnarly, saturated “crunch” tones. This is associated with models from their JCM, DSL and JVM series’ in particular. This distinctive sound is what has led countless rock and metal bands to rely on Marshall amps, especially in the ’70s and ’80s when there weren’t many high-gain alternatives. There are a couple of other sonic qualities that Marshalls are known for. This includes the fizzy yet crisp highs that they produce, as well as their tendency to compress when cranked up loud. Crunch tones aside, some players also like Marshall amps because of their cleans. For example, the classic 100W ‘plexi’ amp heads are famous for their extreme amounts of headroom. This means that they can be turned up to ear-splitting volumes without distorting too much. Jimi Hendrix used ’em – enough said! Vox generally sit on the subtler side, as their amps are regarded more for their clean tones. Known for sounding “chimey”, Vox amps tend to produce an almost bell-like presence for a sweet and articulate quality. The crystal-clear tones of the classic AC30 can be heard all over U2’s music, with The Edge using an original ’60s model as the foundation for his plethora of effects to run through. Speaking of effects, Vox amps often feature built-in reverb and tremolo circuits too; allowing you to really embellish your guitar sounds. Although their cleans are excellent, many iconic guitarists have relied on Vox amps for the aggressive sounds that they’re capable of too. Emitting piercing highs with a smooth and slightly loose mid-range; the tone of a crunchy AC30 or AC15 combo is quite unmistakable and hard to replicate with another amplifier. Queen’s Brian May is a longtime user of the AC30, and a major part of his idiosyncratic sound can be attributed to this amp. While Marshall amps are known for dishing out lairy distorted tones, Orange amps take that concept to a whole new level. As we mentioned, they are very popular with modern hard rock and metal players as they can deliver some seriously sizzling high-gain sounds. Orange’s flagship Rockerverb series amp heads are most well-known for this trait, available in powerful 50 or 100-watt configurations. Having what can be best described as a punchy, boomy and hairy-sounding distortion channel; this borders on fuzz when their gain controls are pushed, forming a massive wall-of-sound. Orange amps aren’t just one-trick ponies though. Many of them boast bold clean tones, and give a sweet musical bite when on the edge of breakup. The Tremlord is a prime example of this, designed solely as a clean platform amp. Which Amp Brands are American? The United States of America has spawned dozens of illustrious guitar and amp brands. The biggest and most influential is Fender; one of the guitar industry’s two leading giants. 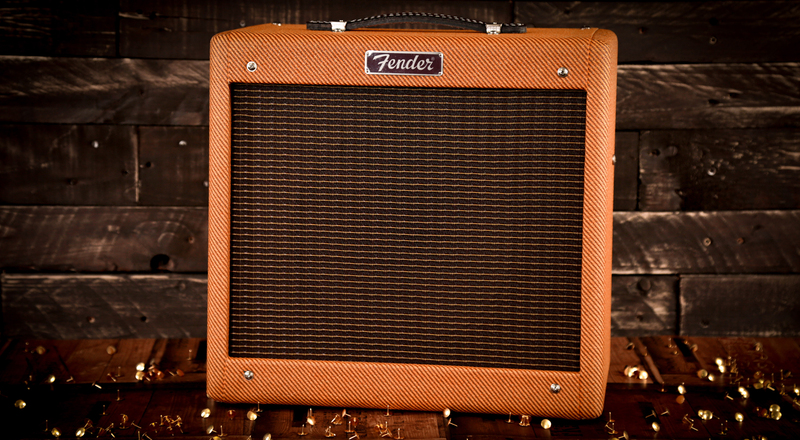 With a rich history in guitar amp production, Fenders have been a firm choice for guitarists since as far back as the ’50s. And we can’t even begin to count just how many famous players have used them! Mesa/Boogie is another well-established brand, with a huge presence in the global amp market. Considered by many as the first “boutique” amp company, Mesa/Boogie has pioneered many acclaimed amps; some of which have gone on to even define genres. Speaking of boutique amp companies, over the the last few years there’s been a steady rise in demand for premium, handwired amps. The likes of Tone King, Milkman and Morgan lead the way and produce retro, vintage-style amplifiers that recapture the classic sound of Americana. What do American Amps sound like? Whereas most British amps will feature EL34 or EL84 power valves, American amps will usually be fitted with 6L6s or 6V6s. In the case of 6L6s, these valves sound very clean as they have excellent headroom. This means that an amp that they’re fitted in can be turned up very high without breaking up. However, whereas EL34s sound warm and harmonically rich when they’re pushed, a 6L6 will clip more harshly when it reaches its limit; which doesn’t sound very musical. To the trained ear, Fender amps are usually quite easy to identify. Although there are many different models available, whether that be Hot Rods, Bassmans or Deluxe Reverbs; almost all Fender amps are known for having tremendous amounts of clean headroom and, of course – ridiculous volume! These qualities give Fender amps plenty of dynamic range, which is why country and blues players particularly enjoy them. Many Mesa/Boogie amplifiers are well-known for the copious amounts of gain that they have on tap. The Dual Rectifier amp head is perhaps the most notorious for this, which is why it became a staple for nu-metal and post-grunge bands in the late ’90s and early ’00s. Much like Orange’s Rockerverb amps, Dual Rectifiers can produce huge engulfing tones that fill a mix with aggressive, gainy goodness. But whereas Orange amps can sound fairly woolly, Mesas are tighter and more compressed. Mesa/Boogie does cater for more traditional players of course, with Carlos Santana one of its earliest plaudits. Although the company is most synonymous with hard rock and metal, Mesa went against the grain when it recently unveiled its Fillmore American amps. Giving you stunning ’60s and ’70s tones, these streamlined models are made for those that prefer simple, no-nonsense workhorses. So, which are better, British or American amps? Well, like we say a lot of the time – it’s down to taste. There’s no right or wrong; it’s all about finding the perfect sound to fit your style, whether that be from a British or an American amp. One thing that you may have noticed when reading the article was that, actually, all of the brands that we highlighted are fairly unique in their own right. Their amps have their own distinctive voices, which many experienced guitar players could probably distinguish. But if we had to generalise, it’s probably fair to say that most British amps probably sound “narrower” and more focused than American amps. Models from the US, on the other hand, are generally more open-sounding and have a less restrained feel when you’re playing through them. This has a lot to do with their power valves, of course. Interested in finding out more about music gear and expanding your knowledge? Click here to view all of our Learn articles!